Tandoori roti is another type of Indian bread. 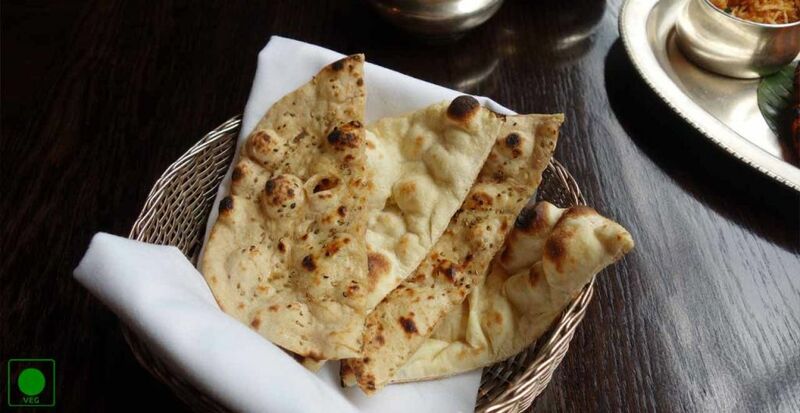 Compare to other Indian roti like chapati or Gujarati Phulka roti, Tandoori roti is different. Its tick in size and made from maida or wheat flour dough and cooked in a tandoor (clay oven) which gives it a real Indian taste. Tandoori roti taste delicious with Punjabi food dishes. Let’s see how to make restaurant style Tandoori roti at home. 1. In a large bowl, mix the salt and ghee to the flour and rub well with the fingertips. 2. Now, make dough with water and knead well to soft pliable dough then keep aside for half an hour. 3. After that divide the dough into equal balls. 4. Now, flatten each ball between the palms and make a thick roti. 5. Then moisten one hand and stick the roti on to the wall of a hot tandoor or a gas tandoor, remove it with gloved hands when brown spots appear on the roti. 6. Apply ghee or butter and serve hot.